Once upon a time, there was a land named the Austro-Hungarian Empire. And that empire extended over much of Central Europe and most of the Balkans. Her ruler was noted for his fear of change. So much so, that he refused to read documents that were typed on new-fangled typewriters. His name was Emperor Franz-Josef II. His heir, Arch-Duke Franz Ferdinand, managed to get himself killed by an anarchist in a little town called Sarajevo. Because of various strange and entangling alliances, this murder led to the beginning of World War I. The Austro-Hungarian Empire found itself allied with the Ottoman Empire and the German Empire against France, Great Britain, Russia, and eventually the United States. The war swept away old empires including that of Franz Josef’s. The rest is history. Steyr built most of Franz-Josef’s arms, but its real name was Oesterreichische Waffenfabricks Gesellschaft and was located in Steyr, Austria. Army officers needed a reliable and modern semi-auto pistol at their side when they marched off to war. They got reliable, but they didn’t get modern. A Steyer-Hahn’s least modern feature is how you load it. It doesn’t have an external magazine. Instead, you pull back the slide until it locks and then use a stripper clip to push rounds into an internal magazine. Such a feature is a surprising throwback for a semi-auto pistol designed around 1910. After all, Lugers, Colts, and other pistols all had external magazines that helped make reloading faster. 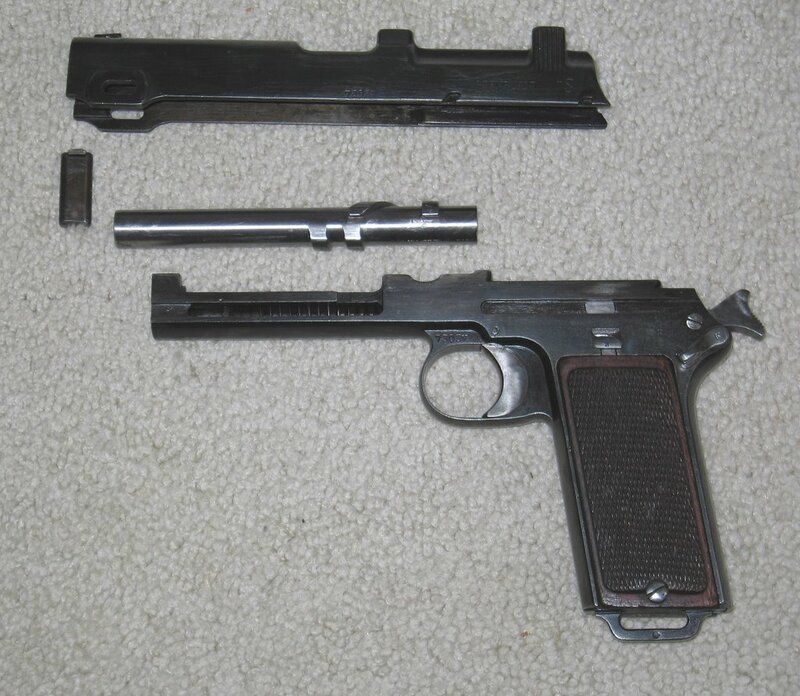 Steyr came up with the Steyr-Hahn pistol based on a couple of their earlier models. Externally, it bears a strong resemblance to a Colt Model 1905 military pistol (you’ll need use the link’s “Quick Search” feature). 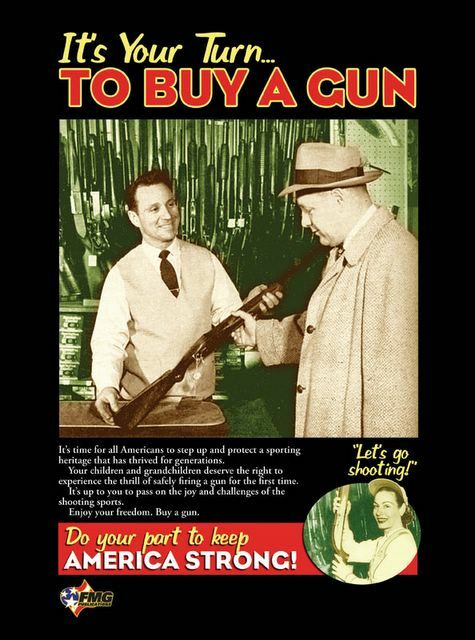 There was a lot of cross pollination among gun makers of the time, so it’s not impossible that a few ideas went back and forth, but I can’t prove that one way or the other. Still, the Steyr-Hahn has several features that aren’t found on any Colt. The internal action works through a cammed barrel as you can see. After firing, the recoil drives the slide and barrel back. Cams rotate the barrel about a half turn lining up magazine and feeding lip. It works well and is both an interesting mechanism and an example of precision machining. The Steyr is slab-sided, heavy, and well engineered. In fact, Steyr-Hahns earned their reputation for reliability because it’s almost over engineered. It has a few curious features like a rear sight that sits on a pedestal that’s also a cocking handle and then there’s the bridge for the stripper clip. The gun takes a now hard-to-find cartridge—9mm Steyr. It was a hot load for the time with a muzzle velocity of 1115 feet per second. Its 115-grain bullet was usually jacketed in steel. Make no mistake, it packed a punch, at least for a Euro-pellet. Other armies used Steyr-Hahns as well. Chile and Romania adopted it as their service weapon. In fact, most Steyr-Hahn’s I’ve seen are marked “Ejercito de Chile,” Army of Chile. 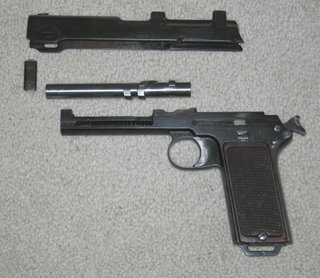 After World War I, many Austrian Steyrs ended up being converted to 9mm Luger and then hung on gun belts of Austrian and Bavarian police officers. 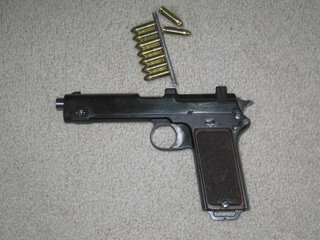 My gun was made in 1917 and was accepted into Austrian service the same year. My Steyr-Hahn is in great condition although someone got a little too enthusiastic with the cold blue for my taste. It’s a Model 1912—there was an experimental 1910 model and a Model 1911. I had no trepidation when I fired it, because it’s so well built. There is very little felt recoil thanks to its rather noticeable weight. The trigger is heavy, but it's accurate partly because its sights are easy to pick up. Field stripping is a piece of cake. You pull out the front wedge, manipulate the slide just so and suddenly you’re holding a slide, a barrel and a frame. So that’s a Steyr-Hahn. It’s a stand-in for an empire that is no more and, just like that empire’s leader, it refused to change with the times when its designers stood by their stripper clips.